Most people are familiar with the effects of Inflation. But they are often confused as to the cause. All they see is rising prices (which can also be viewed as a shrinking dollar) i.e. each dollar purchases less goods and services than it did previously. Unfortunately many people erroneously attribute these rising prices to "greedy businessmen". Most economists however agree that the cause of this "price inflation" (or shrinking dollar) is "monetary inflation" or the excessive growth of the money supply. They say "excessive growth" because many economists believe that the money supply needs to grow some. The reason they think it needs to grow is to offset the growth in the Gross Domestic Product (GDP). If the money supply didn’t grow and the GDP did... prices would actually decline (each dollar would buy more). This "horrible" event would benefit savers as their savings allowed them to purchase more and there would be less incentive to go into debt. But the "poor banks" would be hurt because people would be less inclined to borrow money and more inclined to save because the value of their savings would be growing rather than erroding. Here at InflationData.com we don’t think that is such a bad thing. Sound money that never changes has historically produced the greatest real economic booms. You can not borrow your way to wealth. You can only pretend to be wealthy for a while until reality catches up with you. Currently we are experiencing the results of a false debt inspired boom. We have been conditioned to believe that the Boom-Bust cycle is a naturally occurring phenomenon but in actuality it is simply a result of government tinkering. The boom-bust cycle is the result of debt financed over consumption. This consumption and excess debt is encouraged by the government through inflation of the currency supply. As these funds are misallocated people begin living beyond their means and everything appears rosy and politicians take credit for creating wealth out of thin air. But stresses begin to build in the economy which eventually must be resolved and eventually result in the bust phase of the cycle. Without the misallocation the only cause of recessions would be natural disasters which the free market would prepare for through prudent saving and storage. Inflation and government intervention encourages imprudence and higher risk taking than the market would normally support… eventually resulting in deeper recessions than would have occurred otherwise. The key components on this site are the Current Inflation Rate listed in the box in the upper-right for the current month and in table form for the most recent years. The Historical Inflation Rate is available in table form all the way back to the beginning when the government first began tracking it in 1913. The inflation rate is actually calculated from the difference between Current Consumer Price Index and the Consumer price index a year ago. So we track the Historical Consumer Price Index. The Consumer Price Index is calculated monthly by the U.S. Bureau of Labor Statistics. They pick a date and set the index equal to 100 (currently they use an average of the date range from 1982-1984). The index that we use is called the (CPI-U) which stands for "Consumer Price Index for all Urban Consumers". This is used to calculate what is commonly called the "inflation rate". The government calculates this to one decimal place. So the typical annual inflation rate would be something like 2.5%. At InflationData.com we calculate the inflation rate to two decimal places since it could actually be 2.45% or 2.54% and it would still be considered 2.5% by the BLS. We feel that the "finer view" will allow us to get a better picture of the economic condition. We also have several Inflation Calculators to help you calculate the changing value of your dollars. Employment Rate- How many people are actually employed? Inflation Adjusted Commodity Prices in "Real Dollars"
Most inflation is tracked on an Annual basis but sometimes it is helpful to see inflation on a monthly basis, see our Monthly Inflation Rate Table. We believe a picture is worth a thousand words so we also provide a graphical view of the Annual Inflation Chart. If you don't feel like using the CPI index to calculate the inflation rate between two dates yourself you can use our Inflation Calculator. Is your salary keeping up with inflation? What you need next year just to keep up. Choose the inflation rate and calculate the cost after that much inflation. 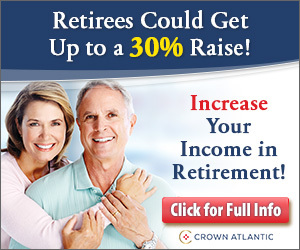 How much will you earn over your lifetime. InflationData.com is dedicated to providing you with the most current Inflation Rate Data on the web, in addition to information on the other monetary activities of the Federal Government and US Treasury. Our goal at InflationData.com is to provide articles on Inflation and the Consumer Price Index in an easily readable format rather than in "Government-speak". By understanding inflation economic theory and the factors involved in inflation you should be able to make better decisions regarding home ownership, real estate, insurance, trade stocks, credit cards, business and investments. We are primarily devoted to providing inflation and economics information for the United States but we do have a few foreign inflation links on our FAQ page. After years of publishing our paper newsletter Financial Trend Forecaster , we began publishing on the web on August 26, 1996 and we have been publishing continuously ever since. Today we publish three sites Financial Trend Forecaster, a site dedicated to stock and inflation projections, InflationData.com a site dedicated to providing complete historical inflation information and YourFamilyFinances.com a site dedicated to providing good reliable family investment and money management information. Our most valuable resource though is the Moore Inflation Predictor. 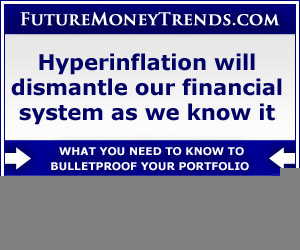 It accurately projects the direction and magnitude of the inflation rate one year into the future. The Moore Inflation Predictor, NYSE Rate of Change (ROC)©, NASDAQ Rate of Change (ROC)© and Gold vs Oil Chart can still be found on the Financial Trend Forecaster website. If we can do anything to make this site more useful to you please contact us. P.S. Have you signed up for our monthly newsletter? It is the best way to keep up with inflation news. Once you have signed up, we will send you monthly notices when the site is updated. The notices will include links to key features and a small blurb about the new articles and the regular monthly features like the Moore Inflation Predictor and the current inflation rate etc. If you Subscribe you will also Get a Free copy of "15 Ways to Beat 95% of All Investors"
Who are we and what is our background? Tim McMahon is the editor of InflationData.com "The Place in Cyberspace for inflation data" and the editor of Financial Trend Forecaster in addition to the editor of Your Family Finances. He has also written a book on Geographic Tongue and other tongue problems call Healthy Tongue Secrets.